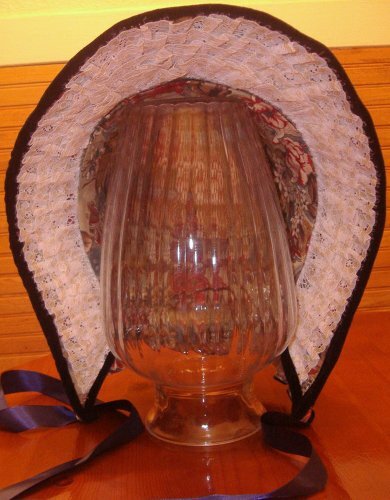 Butterick's B4210 bonnet pattern probably most resembles bonnets from the mid/late 1850s to mid 1860s, about the time of the Civil War. 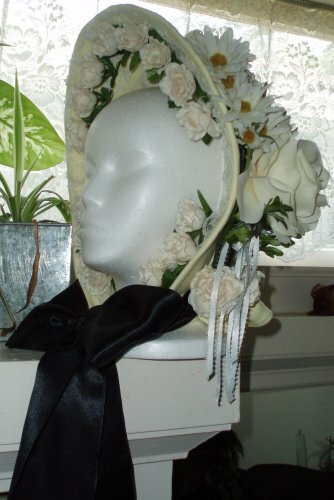 Most of these bonnets were made with doubled midweight buckram and wire and glue, all of which will be defeated by water. 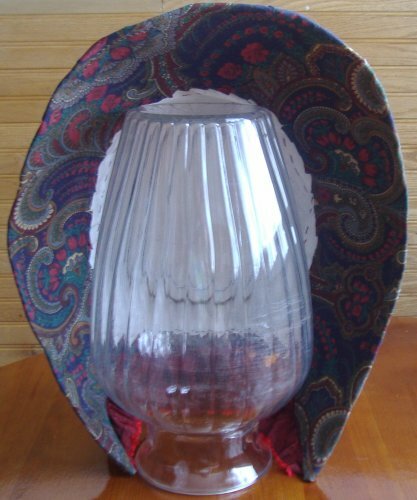 So, no rain or washing for bonnets. If not careful, they crush and wrinkle. 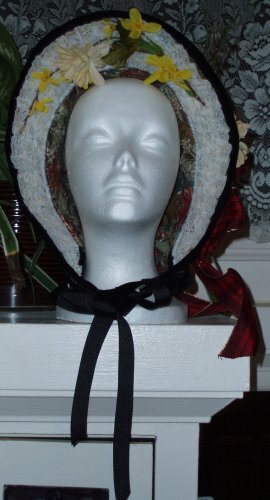 Experiments with heavy interfacing instead of buckram resulted in bonnets that lost their shape quickly and crushed easily. 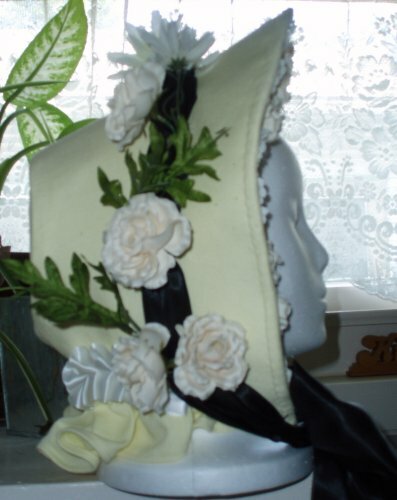 Steaming/ironing did not bring back the shape of interfacing bonnets as well as it did with buckram. 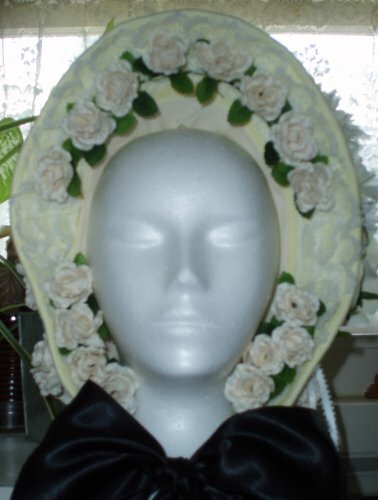 Yellow cotton over buckram and wire bonnet. 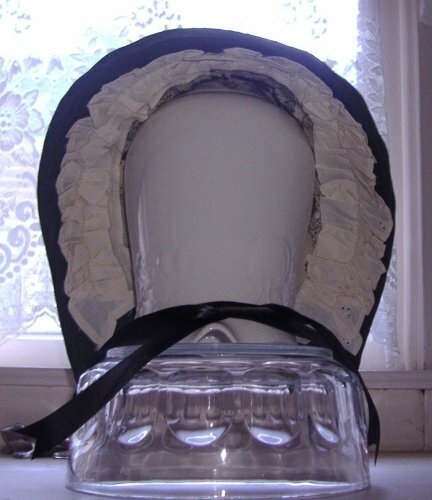 Cotton muslin interior/lining. 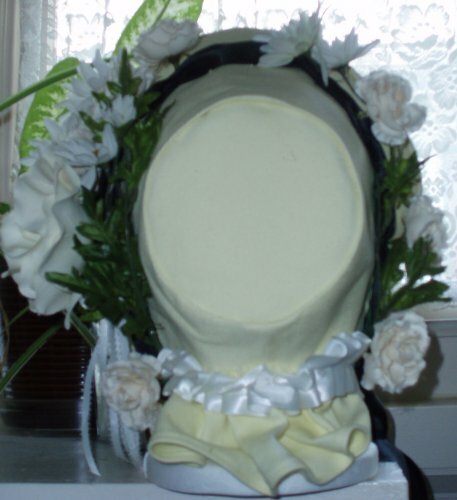 Interior lace ruffles, artificial flowers, white satin ribbon on back. 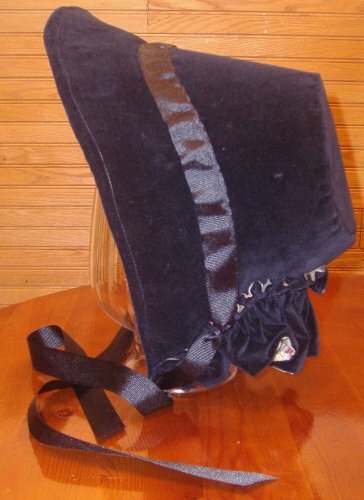 Black satin 4" ribbon ties. 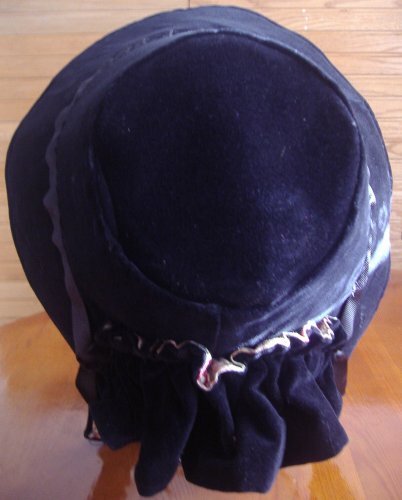 Black cotton no-wale cotton corderoy over buckram and wire bonnet. 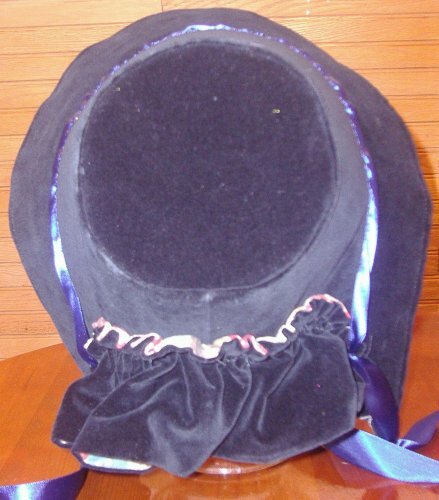 Cotton print interior/lining, white lace on interior brim, and navy blue satin ribbon ties. 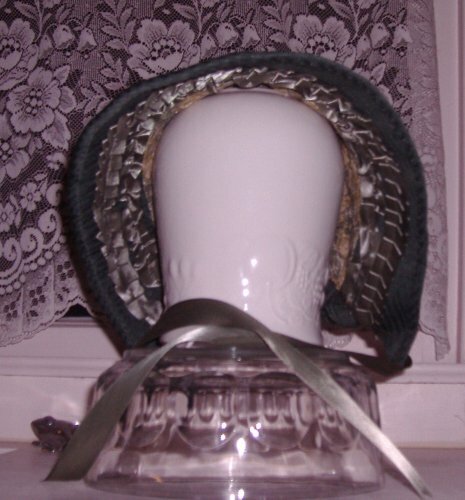 Black cotton no-wale cotton corderoy over buckram and wire bonnet. 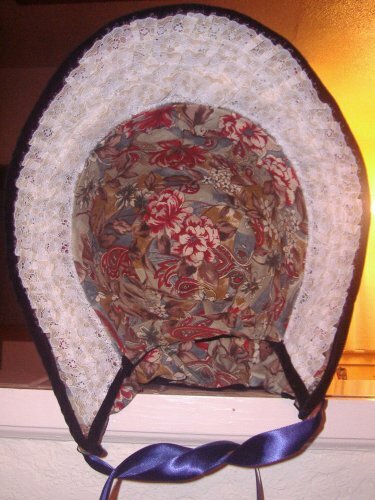 Cotton print interior/lining, white lace on interior brim, and black grossgrain ribbon ties. 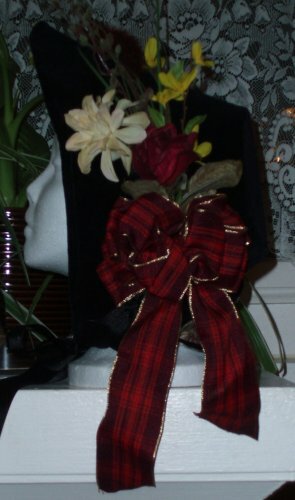 Shown plain and decorated with purchased flowers and plaid ribbon. 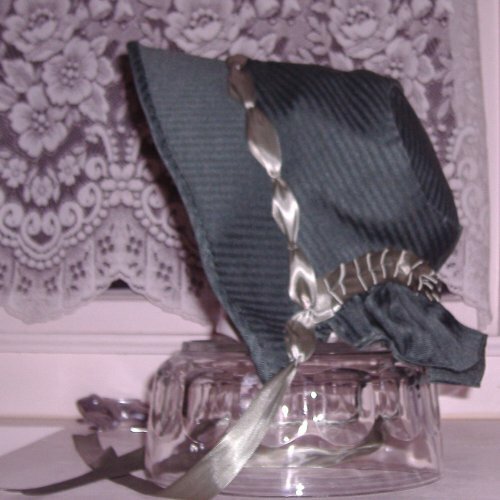 Dark sage/moss cotton no-wale cotton corderoy over buckram and wire bonnet. 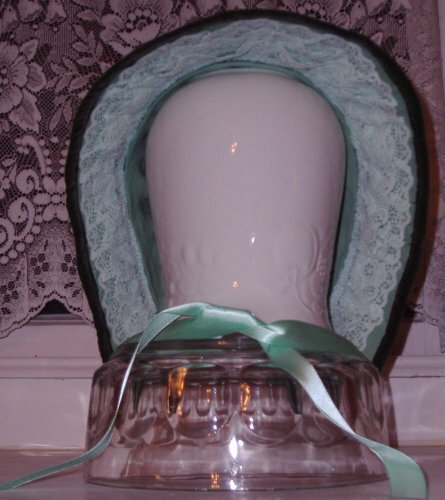 Lighter green cotton interior/lining, green lace on interior brim, and light green ribbon trim and ties. 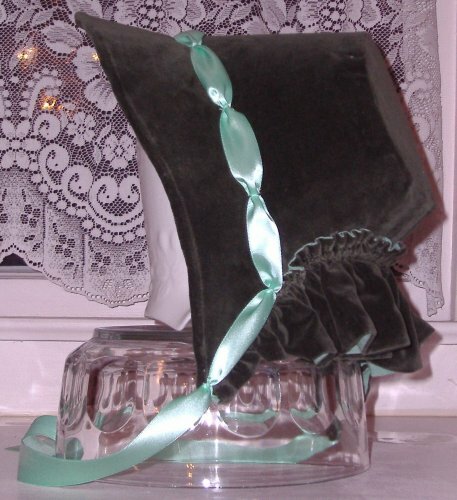 Green upholstery over buckram and wire bonnet. Cotton print interior/lining. 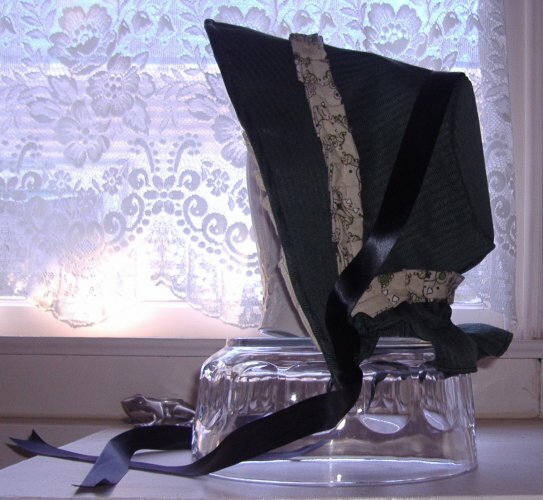 Sage satin ribbon on interior brim, outer trim, and ties. 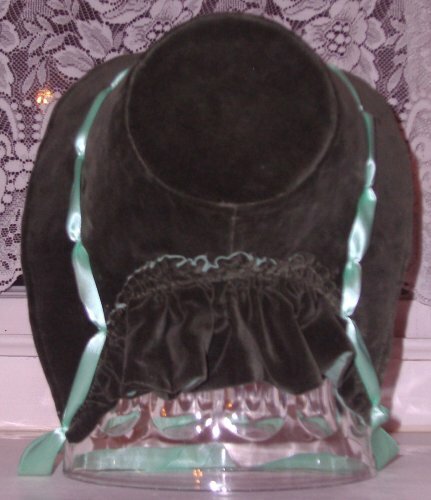 Green upholstery over buckram and wire bonnet. Muslin interior/lining. 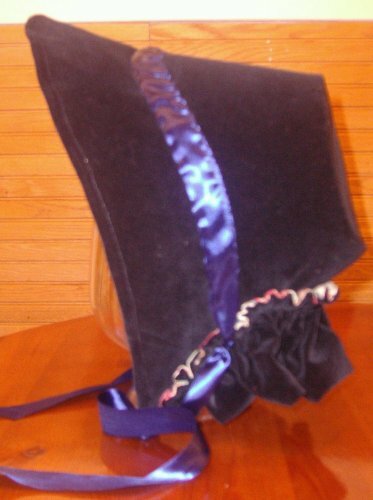 Interior lace ruffles, purple satin ties. 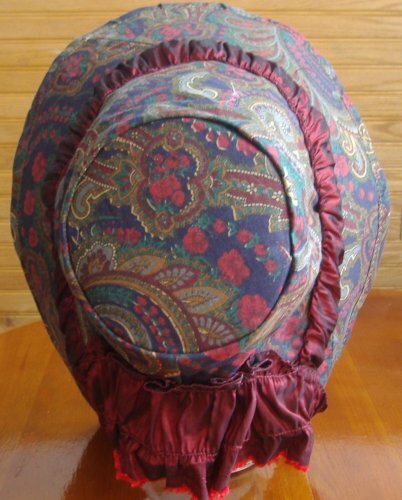 Paisley cotton print over heavy interfacing and wire bonnet. 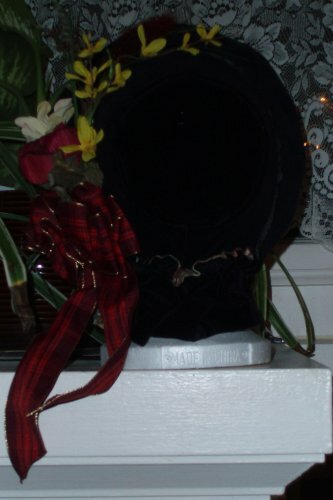 Red taffeta trim and bavolet. 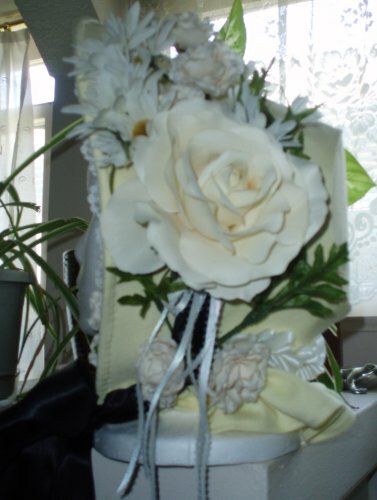 Interfacing loses its shape faster than buckram and is not recommended.